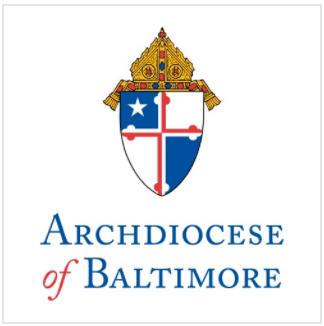 Archbishop Edwin F. O’Brien, Archbishop of Baltimore, announced today that the Archdiocese of Baltimore and The Children’s Guild, a non-profit organization that serves children and adolescents with emotional, behavioral and mental disorders and which operates two public charter schools in Maryland, has signed a contract to purchase the former St. Rose of Lima Catholic School and convent in Baltimore City’s Brooklyn neighborhood. St. Rose of Lima Catholic School closed in June 2010 as part of the Archdiocesan school system’s consolidation. It will become the 19th educational institution to find a home in a former Catholic school in the Archdiocese of Baltimore, joining several charter and Head Start schools to make use of former parochial school buildings. The Children’s Guild plans to move its day school currently located at St. Thomas More Church in Northeast Baltimore to St. Rose after renovations are complete and the Board establishes an opening date. “I feel confident that the purchase of the school and convent buildings at St. Rose of Lima is a positive development, not only for the parish community, but also for the Brooklyn community at large,” said Fr. Robert DiMattei, Pastor of St. Rose of Lima. The Children’s Guild has operated the school at St. Thomas More Church since 1986 and is hopeful that a move to the former Catholic school building in Brooklyn will expand its outreach to students in neighboring Anne Arundel County. “We are looking forward to moving into this historic building and being part of the Brooklyn and Curtis Bay communities as we educate and serve special needs children in the Baltimore/Washington corridor,” said Dr. Andrew Ross, President of The Children’s Guild.